Take one five-star hotel, mix with a Michelin-starred restaurant, add expert tuition from professional chefs and you have the recipe for a perfect gourmet solo break. With courses covering various cuisines, including one designed for single fathers, you can relax in your own double room between cooking classes. As you drive through acres of parkland along the avenue of majestic trees towards our Palladian mansion, you will know you have arrived somewhere very special. 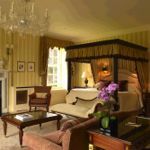 Our five-star hotel, just 20 minutes’ drive from Bath, is a haven of sheer luxury with a Michelin-starred restaurant, world class spa, equestrian centre, sumptuous guest rooms and discreet, thoughtful service. Combine all that pampering with an inspiring cookery course, under the expert supervision of award-winning chefs, and you have a recipe for the perfect solo break. Our Cookery School is set in its own house on the estate with impressive purpose-built kitchens. Courses are run by expert resident and guest chefs, headed up by Chef Hrishikesh Desai with the guidance of our Michelin-starred Executive Chef, Hywel Jones. 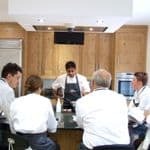 Desai has been with us for seven years and won the prestigious Roux Scholarship in 2009 followed by the coveted National Chef of the Year Award in 2010. 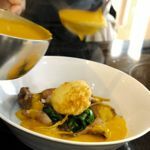 Our year-round courses are hugely varied – topics include patisserie, Vietnamese food, Indian street food, pub grub, Michelin cooking at home, fish and shellfish, knife skills and dairy-free cooking to name just a few. There’s even a course for men only. Some courses are specifically designed for adults and children – a great idea for a single parent’s mini-break. Courses run from Mondays to Fridays – on our Stay and Cook package, you will also enjoy the privacy of your own luxurious double room for solo occupancy, full English breakfast and use of the spa. 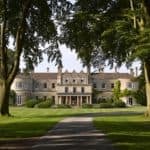 Find out more about the Lucknam Park Cookery School.